The sounds coming off the campaign trail certainly aren't getting any sweeter -- and propriety prevents me from telling you what the presidential election sounds like to me -- so I guess we need to counteract that on this week's 3 Chords & the Truth. I guess, then, we will have to just do our best on the Big Show to replace the voice of discord with our own Voice of Music. We probably can't drown out all the noise from the rubber room, but I'm betting the Voice of Music will take care of most of it, making for a dramatically more pleasant run up to Armageddon Nov. 8. Please, God, this has to work. OK, let's remain positive. Yes, this will work. The Voice of Music will remedy all. 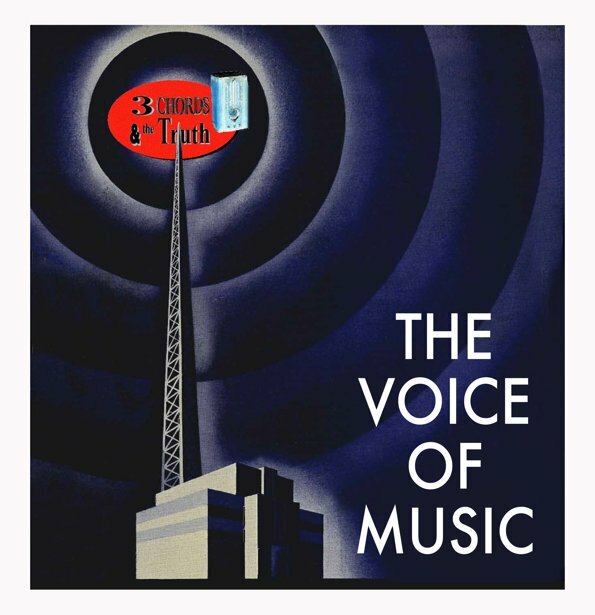 We should all be feeling much better 30 minutes into this edition of 3 Chords & the Truth. You know, power to soothe the savage breast and all of that. What do we got to lose?